Everyone who loves their nails loves a good nail polish and that is usually fulfilled by the world famous brand of polishes, OPI. Their range of shades and finishes is hardly exhaustive. The OPI Centre aims to fill that nail fan's desire of only getting her nails done with OPI. The store is a luxurious front with plenty of space for an afternoon of nail pampering with the girls. 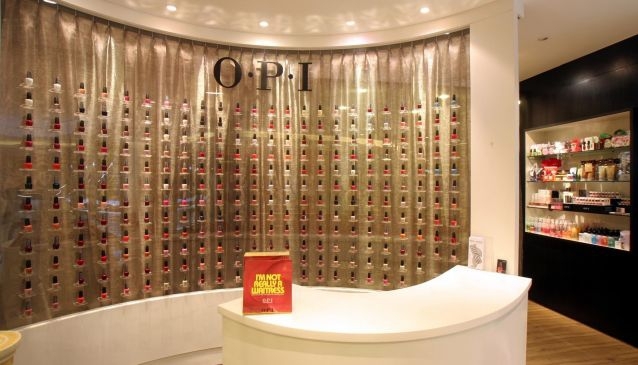 Located in the Forum Shopping Mall, the OPI centre is home to a variety of OPI products, beyond polishes, including nail care products like masks, tonics and scrubs to ensure your nails stay healthy throughout.